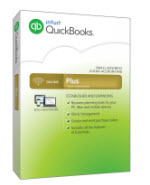 Excellent Service very good product will use again ..
We used Axonware and specifically Dan to help us migrate our Quickbooks desktop version to the cloud. I found Dan to be extremely professional and quick to answer any and all queries we had over the course of the migration. There was no "silly question" and Dan and Axonware understood that as Finance people that we didn't necessarily need to understand the process, just that we needed it completed in a timely and efficient manner. I would highly recommend Dan and Axonware to anyone who needed QB installed or assistance with migration to the cloud.